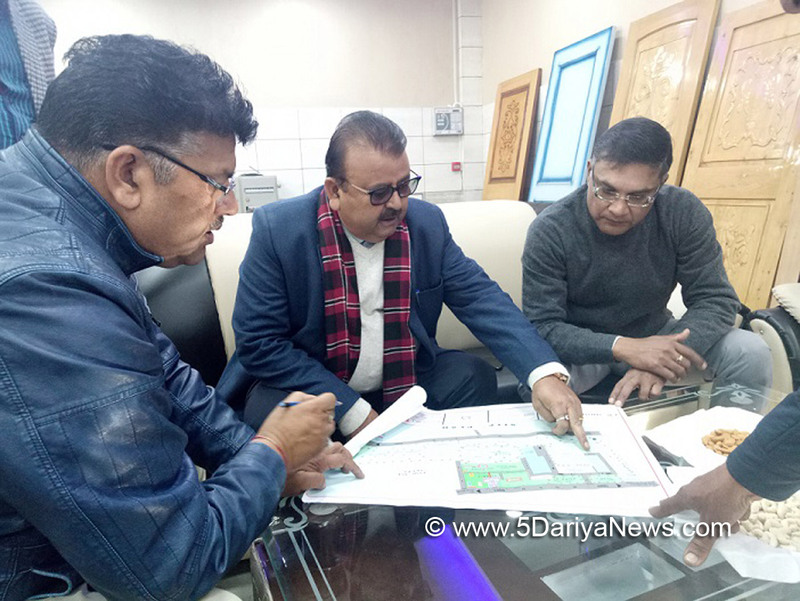 Minister for Industries and Commerce, Chander Prakash Ganga, today exhorted upon the officers for expeditious execution of works being done to boost industrial profile of the state.The Minister, while inspecting various ongoing works of Jammu and Kashmir Industries at SIDCO Baribrahmana, said that Industry of an area reflects the quantum of growth and development and the government has launched a slew of innovative measures to take state’s industry towards new dimensions. The Minister visited Joinery Mills Baribrahmana being constructed with Rs. 8.50 crore, Silk Filature Baribrahmana being raised with Rs. 6.64 crore and Silk factory Baribrahmana being established with a cost of Rs. 16.84 crore and took stock of progress on these ambitious projects.Later, the Minister also inspected the work on JKEDI building being constructed with an estimated cost of Rs. 90 crore and asked for accelerating pace on it for timely completion. He asked the executing agency to scale up their efforts and ensure that the building is made functional by February, 2018. Ganga, while elaborating on government’s initiatives of reviving and revitalizing industrial growth in the state, said that introduction of new industrial policy containing the suggestions and feedback from all stakeholders was a historic step. “Sustainable utilization of natural resources and development of human skills is the core mantra of present dispensation to steer state towards the most successful industrial world”, he asserted. He said that Modi government is laying special thrust on developing specific skills among youth besides providing them easy access to availing loan facilities in a total transparent and speedy manner.Referring to scope and potential of industrial growth in the state in varied fields, the Minister said that several sustainable and viable units are being equipped with advanced infrastructural edifice and expertise to generate employment besides occupying a significant place in the industrial world.Among others present were Commissioner Secretary Industries and Commerce, Shailendra Kumar, MD JKI, Javed Iqbal, Director JKEDI, M.I. Parray, MD SIDCO Jaswinder Dua and other senior officers.